“It’s a dream of any kid out there in this world, any kid that’s playing tennis, to beat these kind of players, so I can call it the best moment of my life. I never expected to beat such a top-ranked player and such a high-respected player like Novak”, admitted the young player while still in shock. Tsitsipas, who turns 20 on Sunday, knocked out the 13-time Grand Slam champion 6-3, 6-7, 6-3, in two hours 18 minutes, leaving Djokovic numb and qualified for the quarter-finals of the Rogers Cup. 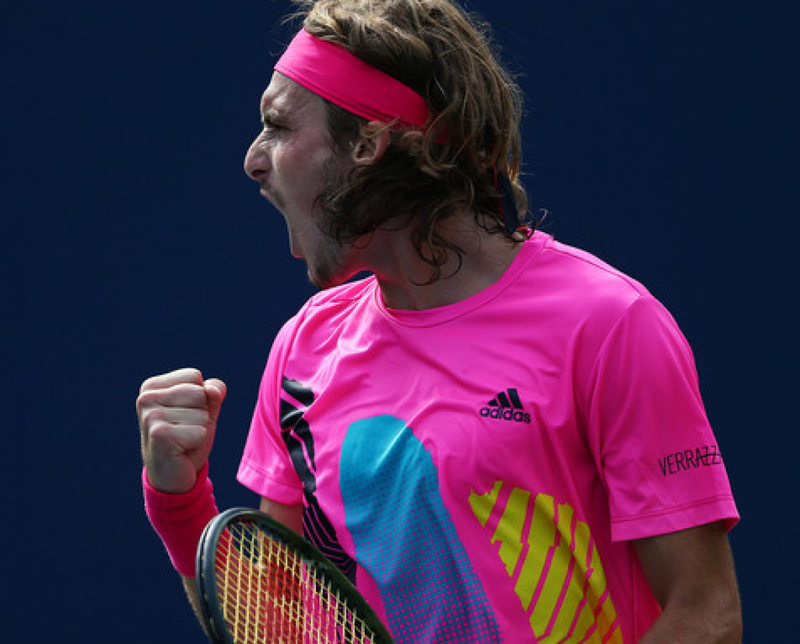 Tsitsipas will next face second seed German Alexander Zverev, Friday, the second time within a week, since seven days ago he lost to Zverev in Washington, D.C., in their only FedEx ATP Head2Head matchup. Djokovic was seeded ninth in Toronto and has been a four-time champion there, winning the Rogers Cup in 2007, 2011, 2012 and 2016. Undoubtedly, Stefanos Tsitsipas won the greatest victory in his career so far, but although he made some serious mistakes near the end, he stayed confident throughout the game.